Xylabion sp., from the American Museum of Natural History. 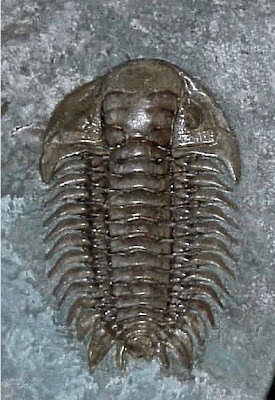 Xylabion is an Ordovician genus of trilobites bearing three pairs of spines on the pygidium, with the outer pair curved backwards. Characters (from Ludvigsen 1977): Glabella quadrate, anterolateral corners rounded; glabellar furrows long (exsag. ), nearly transverse; cephalic borders flat. Pygidium with three pairs of spines, graduated in length; anterior pair longest, curving outwards and backwards. Ludvigsen, R. 1977. The Ordovician trilobite Ceraurinus Barton in North America. Journal of Paleontology 51 (5): 959-972.